Balbo & Gregg, Attorneys at Law, PC strives to provide the service clients need when they are facing difficult legal battles. 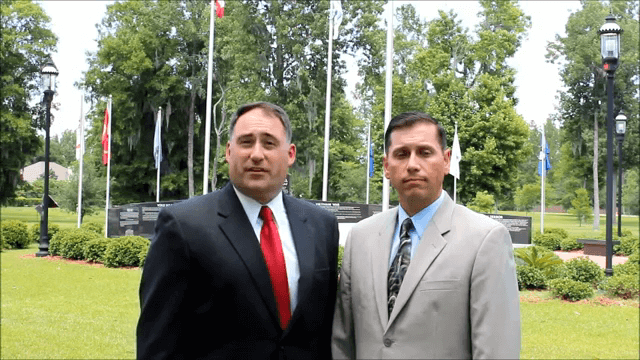 The team at Balbo & Gregg have more than 40 years of combined experience and work directly out of Richmond Hill and Hinesville. We believe that no one should have to face a judge and jury without expert legal consultation. Our firm provides aggressive and dedicated representation in matters of family law, personal injury, criminal defense, military law, bankruptcy, and more. Attorneys A.J. Balbo and Chester J. Greg practiced law as members of the Army Judge Advocate General’s Corps in the United States Army. As a result, they take pride in providing the services that members of the United States Armed Forces deserve. By using their experience as former military prosecutors in the, our lawyers know the strategies that those facing issues with military law must employ for success. We represent deployed military members and their families in a variety of cases. If you are seeking defense for a criminal charge or representation with divorce, military law, or personal injury issues, our Richmond Hill lawyers will provide the passionate and aggressive counsel that you deserve. It is our honor to serve military members worldwide and civilian clients at the local and national level. Contact our firm today at (866) 580-3089 for a free evaluation of your case. Take the first step now and fill out our contact form. Absolutely loved working with them! I would recommend Balbo & Gregg to anyone. WOULD TOTALLY RECOMMEND THEM TO ANYONE AND EVERYONE.